The Brown Bag Lunch and Lecture Series sponsored by the Center for the Study of Southern Culture continues this fall with a focus on “Sports in the South.” Due to construction, the Sept. 5 Brown Bag will take place in the Overby Center’s Conference Room 249. All lectures take place at noon on select Wednesdays in the Tupelo Room of Barnard Observatory unless otherwise noted. They are free and open to the public. Ted Ownby, the center’s director, said he is excited about this series of talks, both because of what the scholars will say and also because they will show a range of ways of thinking about sports and society. Charles Ross delivers the first Brown Bag Lecture of the fall on Sept. 5. On Monday, Sept. 17, Farrell Evans explores the desegregation of golf in the South through the lens of his own journey as a golfer, journalist, and student of the American South with “Between the Curling Flower Spaces: Race, Golf and the American South.” Evans intersperses literature, family stories, history, photography and art to demonstrate the centeredness of golf in the unfolding of the civil rights movement. The talk also reflects on the manners, rituals, and etiquette of the game that made it perfect for the strict social order of the Deep South. Evans is a former award-winning golf writer for Sports Illustrated, Golf, and ESPN.com. 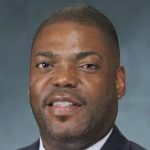 The Forsyth, Georgia, native is now the executive director and cofounder of the Bridge Golf Foundation, a New York City-based nonprofit that uses golf to improve outcomes for young men of color. A brief departure from the sports theme occurs for the first two lectures in October, when Janet Allured looks at “Methodist Women in the South: Agents of Progressive Change, 1939–2000” on Oct. 10. Allured focuses on the influential role that white and black southern Methodist women played in social reform movements not just in the South but in the nation. Professor of history and director of women’s studies at McNeese State University, Allured teaches courses in the history of the New South, Louisiana, American women, and the modern United States. She received her doctorate in history from the University of Arkansas in 1989 and is coeditor of “Louisiana Women: Their Lives and Times,” vol. 1, with Judith Gentry, and “Louisiana Legacies: Readings in the History of the Pelican State,” with Michael Martin. In her Oct. 17 talk “Taking the South with Me,” filmmaker Jing Niu discusses her artistic roots and influences in the American South and how her upbringing has influenced her career in the film arts through documentary work, journalism and fiction films. Niu is a first-generation Asian American who grew up working in take-out restaurants in the South and who would later, against the advice of her parents, become an artist and filmmaker. Prior to creating independent films in Los Angeles, she produced videos for Wired magazine, covering stories at the intersection of technology and lived experience. Sports return on Oct. 24 with Amira Rose Davis discussing “Sights Unseen: Black Women Athletes and the (in)Visibility of Political Engagement.” Davis’s talk gives a brief history of black women’s athletic activism while also discussing the ways black women athletes have been hypervisible but also oft-ignored symbols of various political struggles on and off the playing field. Davis is an assistant professor of history and women’s gender, and sexuality studies at Penn State University who specializes in 20th-century American history with an emphasis on race, gender, sports, and politics. The rest of the semester sees a shift to other topics, beginning Oct. 31 when Stephanie R. Rolph discusses her new book “Resisting Equality: The Citizens’ Council, 1954–1989.” Rolph examines the ways in which organized white resistance to civil rights successes went beyond the defense of segregation to become a vital piece of a new American political landscape. She is an associate professor of history at Millsaps College who earned her doctorate in 2009 from Mississippi State University, where she specialized in the history of the American South. On Nov. 7, Lisa Richman offers an “‘Introducing America to Americans’: FSA Photography and the Construction of Racialized and Gendered Citizens.” Richman is interested in the ways images can reinforce, script, or challenge the national imaginary of who is a citizen. Richman is a researcher and teacher at Adrian College with a doctorate in American culture studies from Bowling Green State University. Concluding the series on Nov. 28 is Patrick Elliott Alexander with “Writing to Survive, Writing to Revive: Death Row, Willie Francis, and Imprisoned Radical Intellectualism in Ernest Gaines’s ‘A Lesson before Dying.’” Alexander, a University of Mississippi associate professor of English and African American studies and cofounder of the University of Mississippi Prison-to-College Pipeline Program, revisits the Jim Crow–era plot of Ernest Gaines’s novel “A Lesson before Dying” in the more contemporary carceral context of its publication. Alexander’s lecture reconsiders the cultural significance of Gaines’s most acclaimed novel in light of its release during our post–civil rights era of racialized mass incarceration.